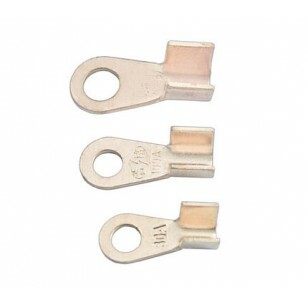 Copper crimp ring terminal can be used to install cable to "Out-", "P-", "B-" of BMS and cable from battery pack positive and cable from "B-" to nagative of first cell(Importance: Check BMS connection Instruction!!!) One of our resistor bleeding BMS or Capacity BMS will use 5 pcs Copper crimp ring terminal if you decide to connector cable in this way to BMS. Please Note: EV Components Store is not responsible for any damage made to items during puchaser's assembly process. It is assumed that purchaser of a DIY battery kit has enough knowledge of electricity and its dangers along with mechanical skills.